Big thanks to Bam Magar and his team. It was my first time in Nepal and I really enjoyed it! We have done Langtang Gosaikunda Trek with day trips to Yala valley and Kianjin Ri peak. I have seen a lot of beautiful places, met many friendly people and loved culture of this country. Big thanks to Bam Magar and his team. 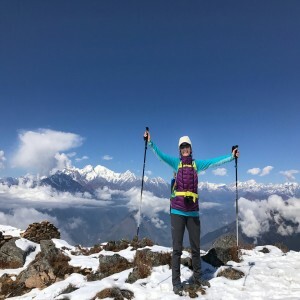 During the trek, Bam took the time to explain the different customs in each area, named the peaks around us and always kept us informed of what we could expect the next day. He provided sound advice and showed a good understanding of the strengths and weaknesses of each member in the group. I always felt safe and looked after. He was always cheerful and friendly. Bam, you even cooked apple pies for us!!!!! Very yummy. I'd love to come back to do some more trekking around Annapurna or Mustang area and I'd definitely travel again with Bam and his team from Explorer Adventure. I not only had an amazing trekking experience but also made a great friend. So I recommend Bam and his company to everyone who wants to discover the beauty of Nepal and Himalayas!